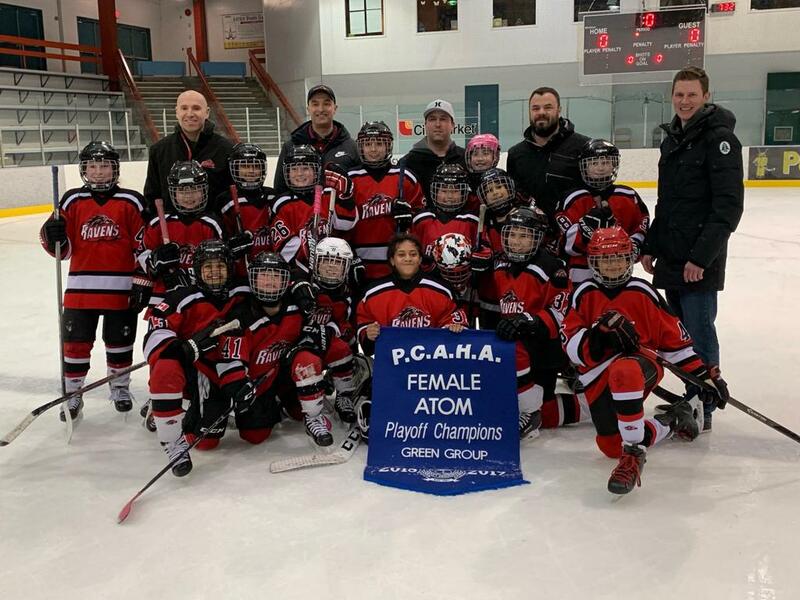 Richmond Atom C2 Ravens are Pacific Coast Amateur’s Green Group playoff champions after a hard-fought 3-2 victory over the North Vancouver Avalanche. Nava David notched the game-winning goal after earlier tallies from Alexa Piperni and Reese Sangha. Marley Sanday was terrific in net. The Ravens also received key contributions from Juliana Bollo, Kira Bui, Emma Chan, Anna-Marie Cubberley, Imaan Dewji, Kaitlin Honda, Clara Jeffrey, Ainsley Johnstone, Amira Nijjer, Anjali Purewal and Kaiya Uppal. The team is coached by Phil Piperni with help from assistants Jay Howard, Jesse Cubberley, Mark David and Martin Bollo. ©2019 Richmond Ravens / SportsEngine. All Rights Reserved.